THDC India Ltd. | Govt. Jobs | Engineer Trainee Recruitment | Last Date: 10 December, 2011 | Apply Online. 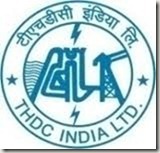 BE/ BTECH (EEE/ ECE/ Mechanical/Industrial/Civil/Geology) required in THDC India Ltd., Uttarakhand. Education: BE/ BTECH (EEE/ ECE/ Mechanical/Industrial/Civil/Geology) from a recognized University with 65% marks. Fees: DD of Rs. 500 (for Gen/ OBC) favor of “THDC India Ltd.” drawn on State Bank of India or any nationalized Bank payable at Rishikesh. THDC, a Joint Venture Corporation of the Govt. of India and Govt. of U.P., was incorporated as a Limited Company under the Companies Act,1956, in July’88, to develop, operate and maintain the Tehri Hydro Power Complex and other Hydro Projects. The works were handed over to THDC in June 1989. The equity portion the Project is being shared by Govt. of India & Govt. of U.P in the ratio of 75:25. The Corporation has an authorised share capital of Rs.4000 cr. Bridge and Roof Co (I) Ltd. | Engineer Trainee Recruitment | Govt. Jobs | Last Date: 31 March, 2012 | Apply Online. HPCL Hindustan Petroleum Corporation Ltd. | Govt. Jobs | Deputy-Manager Recruitment | Last Date: 10 December, 2012 | Apply Online. IIT Kanpur | Project Associate Recruitment | Govt. Jobs | Last Date: 10 December, 2011. IIITM Indian Institute of Information Technology and Management | Govt. Jobs | Last Date: 10 December, 2011 | Project Associate Recruitment. Posted in Apply online, Civil, Electrical and Electronics, Electronics and Communication, Government Job, Industrial, Job After Btech, Mechanical, Trainee Engineers, With experience, Without Experience. Tags: 2011., Apply online, Engineer Trainee, Govt. jobs, Last Date: 10 December, recruitment, THDC India Ltd. on November 24, 2011 by kavita joshi.